William Shakespeare's Hamlet has finally been restored to its original second-person non-linear branching narrative format. I know! What took so long, am I right? Now it's up to YOU to decide what happens next. 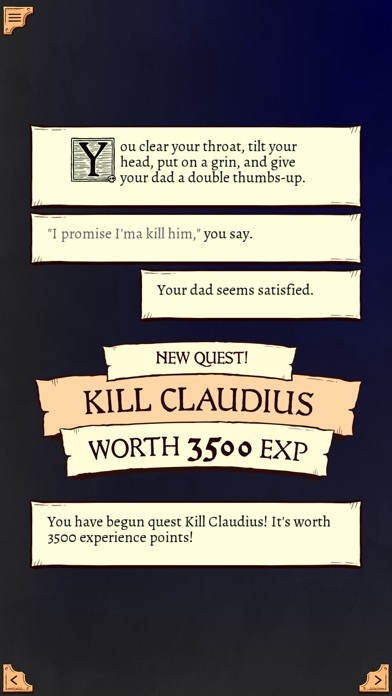 Play as Hamlet and revenge your father's death. 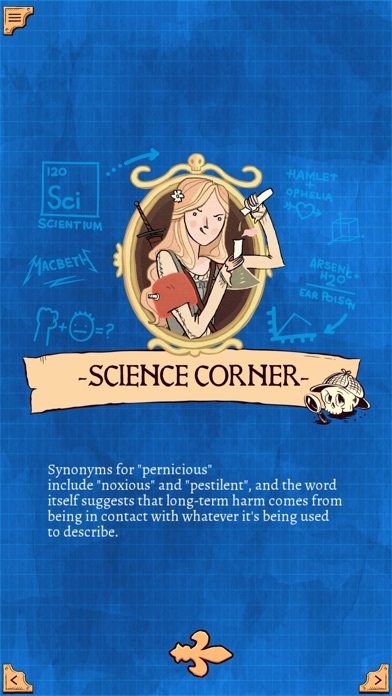 Play as Ophelia and make scientific discoveries. 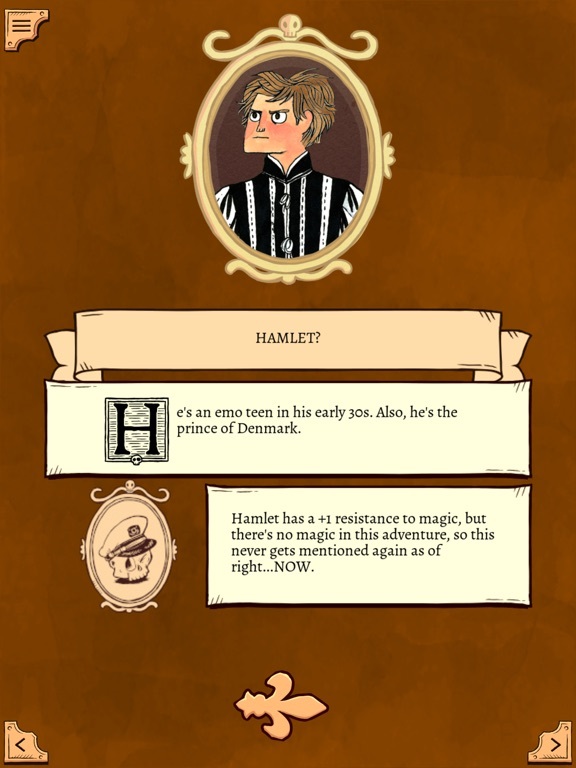 Play as King Hamlet, Sr. and die on the first page! Discover sweet art as you play from some of the greatest and most attractive artists of Our Time, including Kate Beaton (Hark! A Vagrant), Anthony Clark (Nedroid), Mike Krahulik (Penny Arcade), Matthew Inman (The Oatmeal), Ethan Nicolle (Axe Cop), Andrew Hussie (MS Paint Adventures), Zach Weiner (Saturday Morning Breakfast Cereal) and WAY more! View the full list at: http://qwantz.com/tobeornottobeartists.php ** REVIEWS ** "Literally slapped my thigh" funny. "Spat water all over my iPad" funny. "Woke my girlfriend in the middle of the night" funny. Riotously, unrelentingly, brilliantly funny. - Pocket Gamer - 9/10 - Gold Award! "Yes, it’s Shakespeare and yes, it’s easily my favorite gamebook that Tin Man has ever done." - Pocket Tactics - 5/5 stars "...an idea that is, by most conventional literary standards, terrible, but pushed so far past terrible that it wraps around like a comet slingshotting around the sun and comes back as utterly brilliant." - Time "To Be Or Not To Be truly is one of the most purely-entertaining experiences of the year, because Ryan North manages to both live up to my expectations with his take on this literary classic, and also manage to go to places that I just did not expect." - Touch Arcade - 5/5 stars ** FEATURES ** • Tiny Yorick skulls mark the choices Shakespeare took in his play! 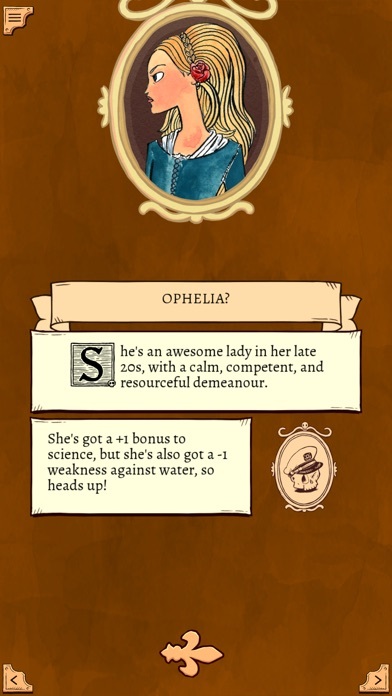 • Play as Hamlet, Ophelia, and Hamlet Sr., each with their own unique adventures. • Learn things, like the meaning of the word ‘pernicious’ and the origin of the phrase ‘Till death us do part’! • Sensibly bring evil King Claudius to justice in a court of law! Or, stuff him into a cannon and then fire him into a wall! IT’S UP TO YOU. • Travel through TIME! Fight PIRATES! Kill a guy IN A CHURCH (it’s totally okay, he’s a jerk!)! 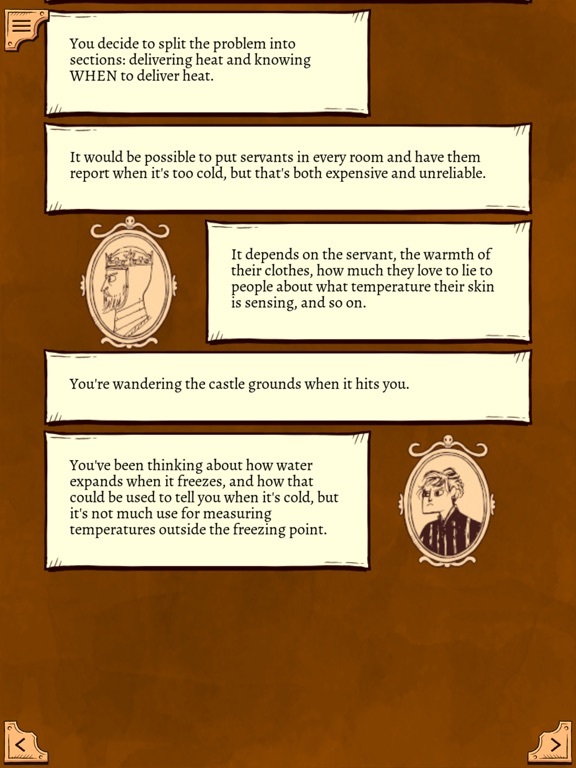 • View the HAML-O-METER at the end of each story to see how well you stuck to the Bard’s vision! 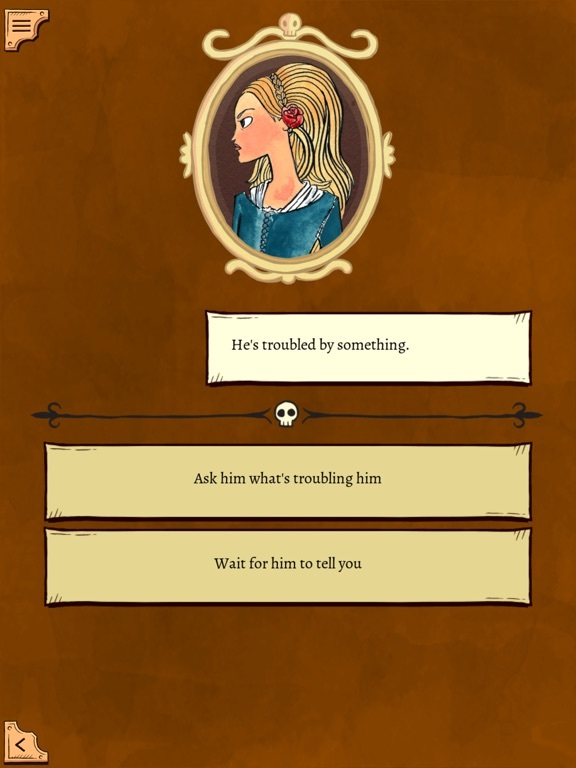 To Be or Not To Be has been created using Tin Man Games’ enhanced Gamebook Adventures Engine featuring: • Dyslexic friendly font support, to aid readers with dyslexia. • Hidden achievements to find throughout the gamebook. • Art you discover is unlocked in the art gallery. Find all the full colour images as you play! • Specially composed soundtrack and sound effects. I've been waiting for this for some time now, it looks fantastic - barmy, irreverent and genuinely funny. With Tin Man Games at the helm, this should be epic! Looks like that the developer is a fan of William Shakespeare . But with the screenshots, I don't understand more about the gameplay, so I'll have a try with this game. It's like all Tin Man Games, basically a game book. Like the Jackson/Livingstone books / Choose You Own Adventure stuff. 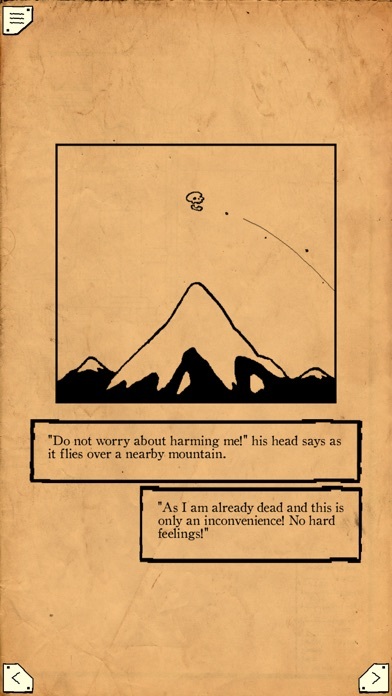 But this time, you play the Hamlet story and choose yourself what happens. ATTENTION ATTENTION!! : SHAUN MUSGRAVE is CONSTANTLY (well, o.k., 3 times today) posting on Twitter, urging all people to buy it. Like, TOTALLY buy it. He also said stuff like: "definately", "Do it. Do it." and "Trust me". He is up to something. Yes!!! Something for us literature nerds!! Who is Ryan NOrth and why should I care? He's a really funny guy. He makes Dinosaur Comics at qwantz.com and writes the latest Squirrel Girl series at Marvel. I don't ever get into this type of game, but I gotta say, this looks really great! Having been in a production of Hamlet, and my wife having done a production of Hamlet, I will definitely be sharing this one with her. Looks like good fun! Yes!! Supermegainstabuy. 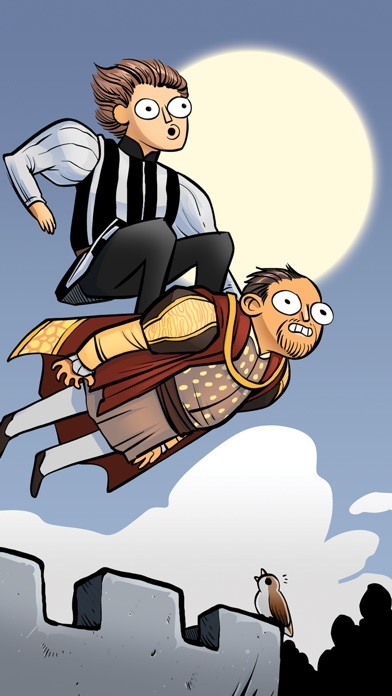 I love gamebooks, I love Tin Man gamebooks a lot, and I love Shakespeare. This is awesome! How long is this game? I played it and it ended in 5 minutes. I played again and again no longer than a few minutes? Is there anymore gameplay than a few minutes? This wouldn't happen to be your first Choose Your Own Adventure/game book, would it, Worldcitizen? Ok I've just began using the skulls and am seeing a lot more and enjoying it a lot more too. So I can choose when I end it and what the story will be according to me? Brilliant! Yeah, that's sort of how these things go. They can be over very quickly if you make certain choices. Part of the fun is finding all the endings. I hope you enjoy it! Just started reading this this morning. I'm pretty sure I'd already got my money's worth by the time I'd read the acknowledgements. For my first play through I decided to follow the Shakespeare path. Fantastic stuff; on every page there's something that makes me smile. I burst into fits of laughter at one stage. Very well done. And I like my steak well done. How long (pages or time) did it take you for that play through with the "right" path?